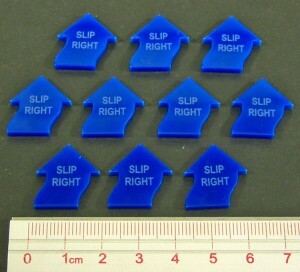 Litko releases their new "right slip" tokens. Right slip, and let loose the tokens of marking! Another addition to the current new series of aerial command tokens... "Right Slip" replaces thin - hard to grasp -card board chits with thick (3mm) easy to see and pick-up acrylic tokens. A simple, yet practical solution for game play woes.